Rubio campaign going after Cruz on debate stage, campaign trail, social media. Lots of RTs from Rubio team about Cruz's vulnerabilities. I’ve watched these debates since 1976. We have hit rock bottom in info-content and common sense. Reagan-Mondale was like LIncon-Douglas. Rubio: "Are we still the kind of place where the people that serve drinks and clean rooms at hotels" can give their kids a better life? Rubio: "There are a lot of people out there who think America owes them something. I don't think America owes me anything." Obama speaking now after counterterrorism meeting, says (again) there are no specific or credible attacks on the homeland. In Muscatine, Iowa, @marcorubio is giving an economics-heavy speech: talking jobs, Medicare/Social Security, health reform. Rubio: "The disconnect between Washington, and you, and life, is massive." Obama: "I want every American to know as you go about the holidays... that you've got dedicated patriots working around the clock"
Cruz: "There's a reason why I think the new politically-correct term is no longer illegal aliens. It's now undocumented Democrats."
. @tedcruz has been stressing that GOP must nominate conservative, or evangelicals will stay home - which Dobson has argued for many years. MUSCATINE, Iowa (AP) — More than any other issue, immigration is driving the rivalry between Marco Rubio and Ted Cruz, presidential rivals focusing on the divisive topic in their closing messages to Republican voters before the sprint to the Iowa caucuses. Cruz, a Texas senator and tea party firebrand, sees Rubio's support for a more forgiving immigration policy as his greatest vulnerability among conservatives who overwhelmingly oppose a pathway to citizenship for immigrants in the country illegally. Rubio, a Florida senator, sees Cruz's shifting rhetoric on immigration as a prime example of a larger pattern of political pandering. Indeed, among the Republican Party's two Hispanic presidential hopefuls, few issues offer a clearer contrast in tone, if not policy. Their competing strategies played out in early voting states on Thursday as the freshman senators pushed to separate themselves from the crowded GOP field six weeks before the first primary votes are cast. 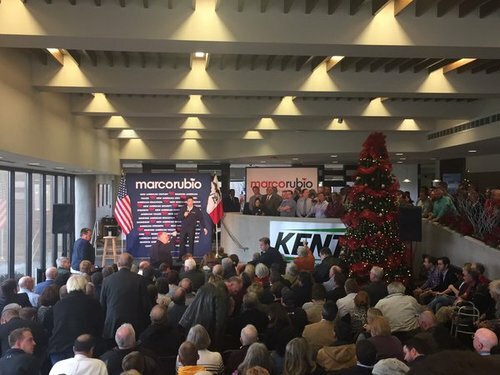 "He's going to have a hard time because he's not told the truth about his position in the past on legalization," Rubio said of Cruz while campaigning in Iowa. "It's not an attack. It's a fact." "That is utter nonsense," Cruz said of Rubio's charge while talking to reporters in Las Vegas. He declined to say what he would do with the estimated 11 million immigrants in the country illegally, but accused Rubio of joining with Democrats to support "amnesty." Cruz was referencing Rubio's leading role in a bipartisan group of senators who crafted an immigration reform package in 2013 that aimed to strengthen border security, overhaul legal immigration and allow a pathway to citizenship for millions of immigrants in the country illegally. The Senate approved the bill, but it was blocked by House Republicans and widely attacked by conservatives. Once the bill's leading salesman, Rubio distanced himself from his own plan as the presidential contest neared, suggesting it was a mistake to push for comprehensive legislation. He's now calling for a piecemeal approach that begins with border security and offers a pathway to legalization only after the influx of illegal immigration is stopped. In Iowa and elsewhere, Rubio's support for legalization still lingers in the minds of many conservatives. "I think he might be a little weak there," said Muscatine resident Jim Simmons, 49, who's still deciding between Rubio and Cruz. Often playing defense on immigration, the Florida senator shifted to offense this week by going after Cruz's evolving rhetoric. Rubio, who previously emphasized criticism of Cruz's national security positions, said his rival's repeated attacks on immigration left him little choice but to examine the Texan's record on the issue. "I was attacked by Ted Cruz on the debate stage and I responded by saying I'm puzzled by his attacks on this," Rubio said, accusing Cruz of using "crafty language." ''He's the one that, for example, supports doubling the number of green cards. He's the one that supports a 500-percent increase in guest workers into the United States, and he's the one that supported legalization and legalizing people that are in the country illegally." Cruz insisted that's not the case during Tuesday's debate, and did so again Thursday night during a campaign stop in Minnesota. "I oppose amnesty. I oppose citizenship. I oppose legalization for those here illegally. 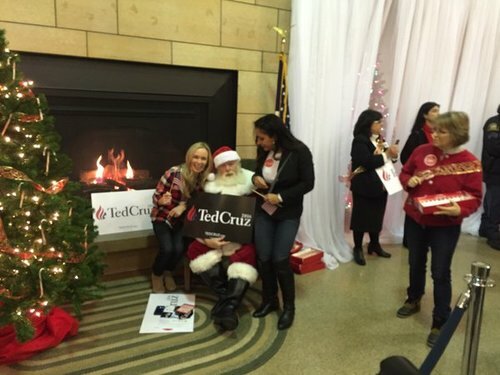 I have always opposed amnesty, citizenship or legalization," Cruz said. "And I will always oppose amnesty, citizenship or legalization and I encourage Sen. Rubio or any other candidate running to make that same statement, to be clear where they stand." Cruz has previously supported broadening legal immigration in some cases. And as part of the immigration reform debate in 2013, Cruz introduced legislation that proposed eventual legal status for millions. His bill, an amendment to Senate immigration legislation, proposed stripping out the option of citizenship. Instead, he told the Senate in June 2013, his amendment would set up a process so that "those who are here illegally would be eligible for what is called RPI (Registered Provisional Immigrant) status, a legal status, and, indeed, in time would be eligible for legal permanent residency." While Cruz has defended that course on multiple occasions in the Senate and in interviews, on Thursday he said he was simply calling his opponents' bluff. "By calling their bluff, we defeated amnesty. We beat it," Cruz said. For all of the debate over immigration this week, some Republicans — and a majority of all voters — support a pathway to citizenship for immigrants in the country illegally, according to a new AP-GfK poll. The survey found that 4 in 10 conservative Republicans and 3 in 10 tea party Republicans favor a path to citizenship. That's compared to 54 percent of all Americans who support a way for immigrants who are already in the country illegally to become citizens, while 44 percent are opposed. More than 7 in 10 Democrats are in favor. It's not a debate among the nation's surging Hispanic population: About three-quarters support a pathway to citizenship. Voters at a Cruz rally in Las Vegas rally on Thursday felt differently. Cruz supporter and Las Vegas resident Bob Jacobsen, 85, linked illegal immigration to terrorism, noting that he and his son bought guns for the first time two days earlier to protect their family from violent extremists. "We have so many illegals," said Jacobsen, suggesting there has to be a better solution "than us arming ourselves." 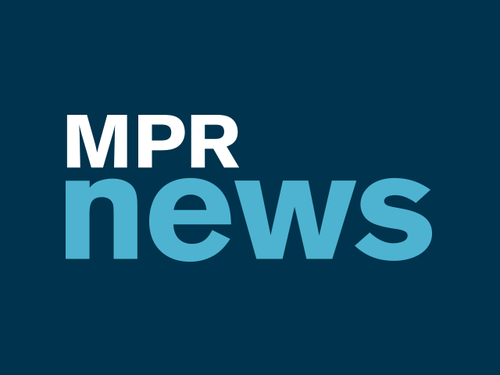 Associated Press writers Kimberly Pierceall in Las Vegas and Brian Bakst in St. Paul, Minnesota, contributed to this report. 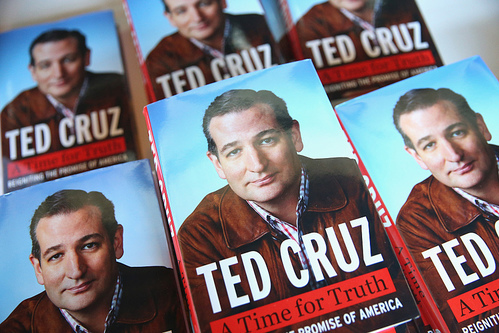 Book briefs: Why did Ted Cruz buy 10,000 copies of his own book? This week in books, one presidential candidate buys his own book in bulk, while a notoriously private poet may soon be a comedy star. When it comes to climate science, two of the three Democratic presidential candidates are 'A' students, while most of the Republican contenders are flunking, according to a panel of scientists who reviewed candidates' comments. He has taken the lead in Iowa, but the Texas senator's strength goes beyond just good poll numbers. And his path to the nomination would have to go through more than just one state. Marco Rubio emerged as a target of both Ted Cruz and Rand Paul while Jeb Bush finally found his footing with landing attacks against Donald Trump. 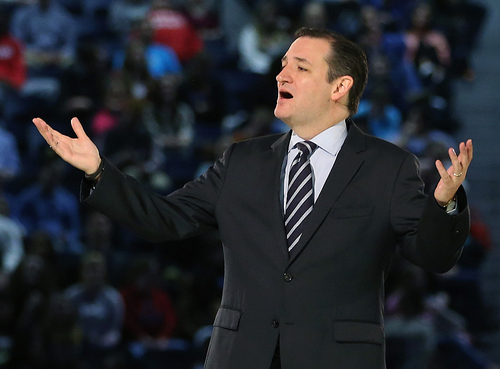 Cruz won a recent presidential straw poll among Minnesota Republican Party regulars. He got nearly a third of the 283 votes. Republican presidential candidate Ted Cruz is making a campaign stop Thursday night in St. Paul, including a rally at the Harriet Island Pavilion. Over the next week, the Texas senator will visit seven states that hold caucuses or primaries on March 1, Super Tuesday. 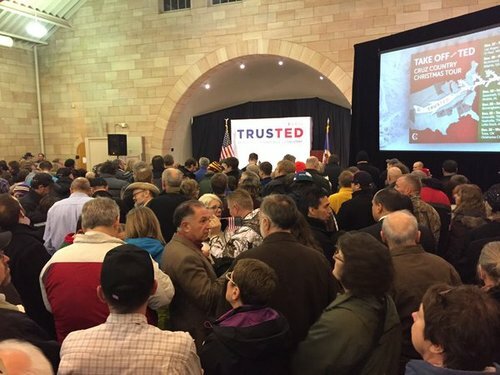 His campaign is billing it the "Take Off With Ted" barnstorming tour. State Rep. Steve Drazkowski, R-Mazeppa, supports Cruz and said the campaign is building a strong grassroots base in Minnesota. 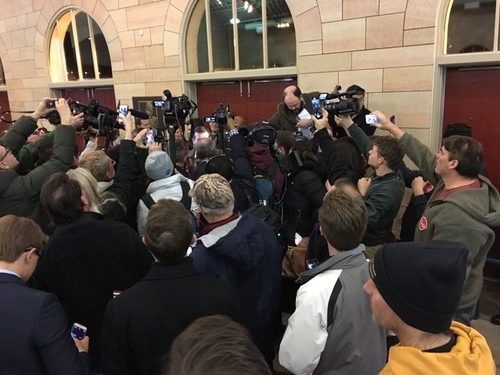 "The senator realizes there is a lot of support for him in Minnesota," he said. "He would like to build on that support, as he has done in each of the states, the early states." Sen. Cruz has arrived at the Harriet Island Pavilion. Event is expected to start on time. NPR.orgMany candidates' views on immigration have shifted throughout the presidential campaign. Here's what we know of where they stand. 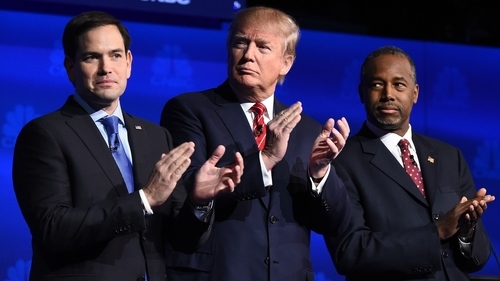 The GOP presidential candidate continues to attack the 'Gang of Eight' (and with it, opponent Marco Rubio).